This is an updated version of a post written by Kurt Sevits, and originally published on December 3rd 2015. 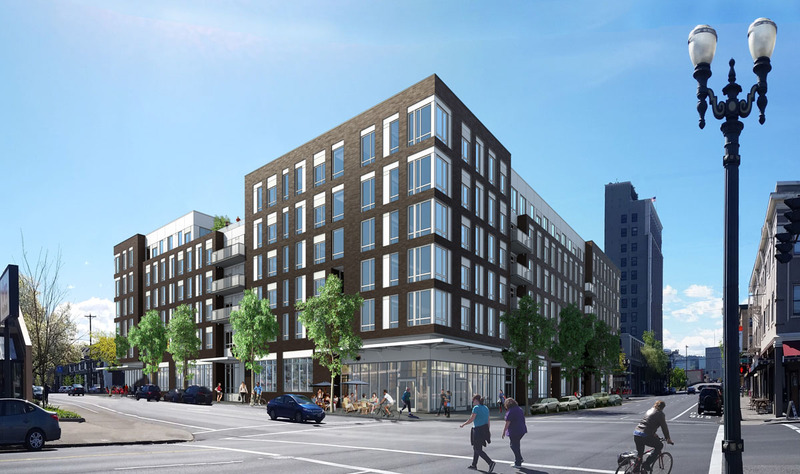 Construction has started on the NW 21st & Irving Apartments, a 4-story mixed use building by Emerick Architects for Urban Development Partners. 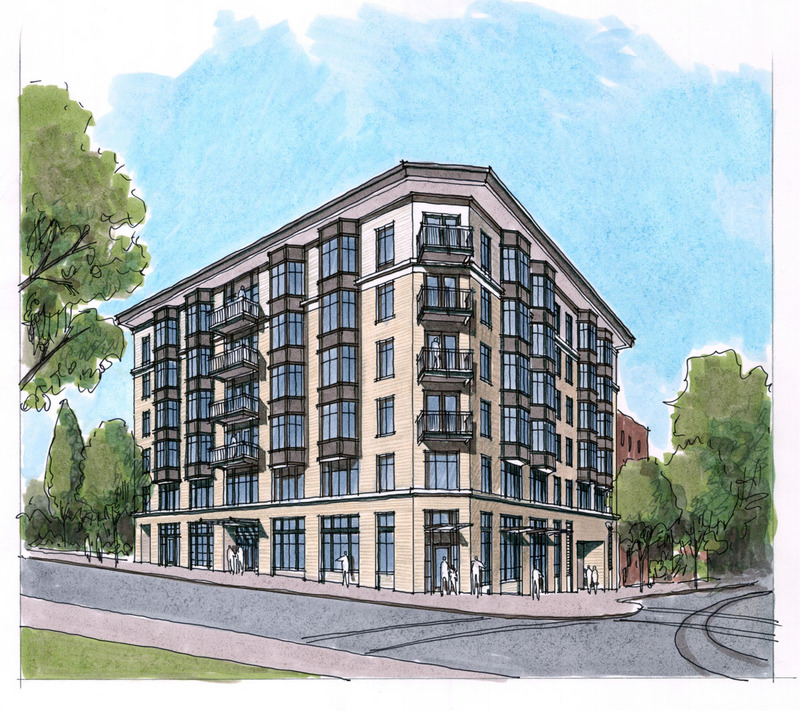 Plans call for 57 residential units over 10,722 sq. feet of ground-floor commercial space. 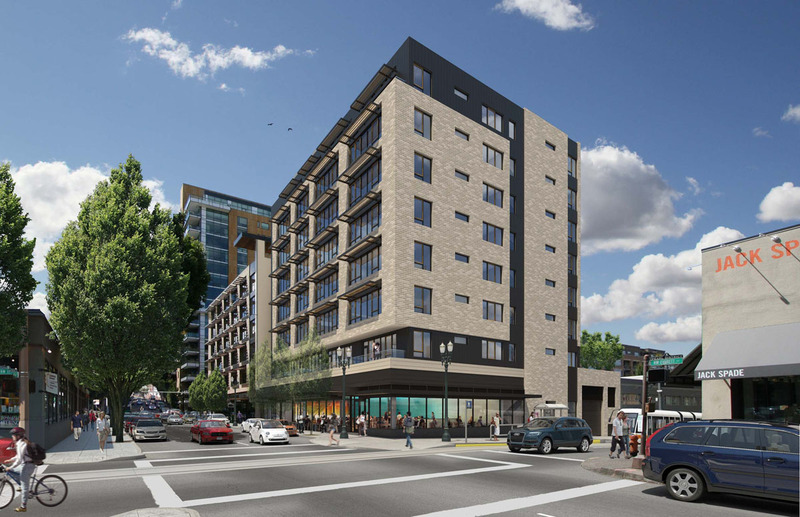 Being situated in the historic Alphabet District of Northwest Portland, the development required a review by the Historic Landmarks Commission. 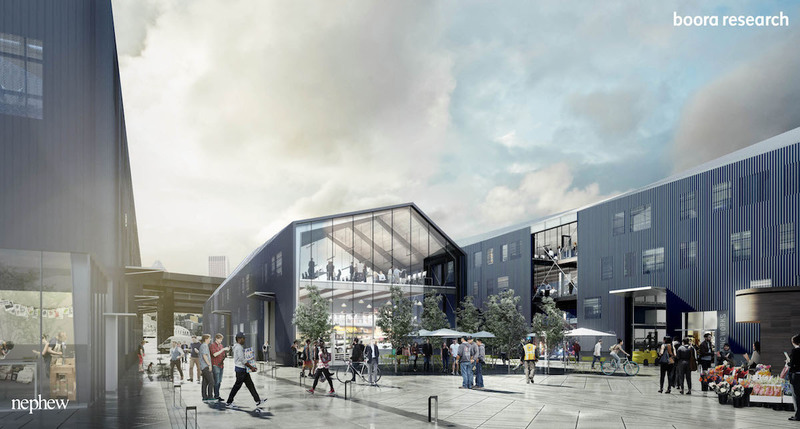 Boora Architects have unveiled a conceptual plan for widespread redevelopment of several blocks of Portland’s Central Eastside Industrial District just north of the Hawthorne Bridge that for years have sat largely unused. 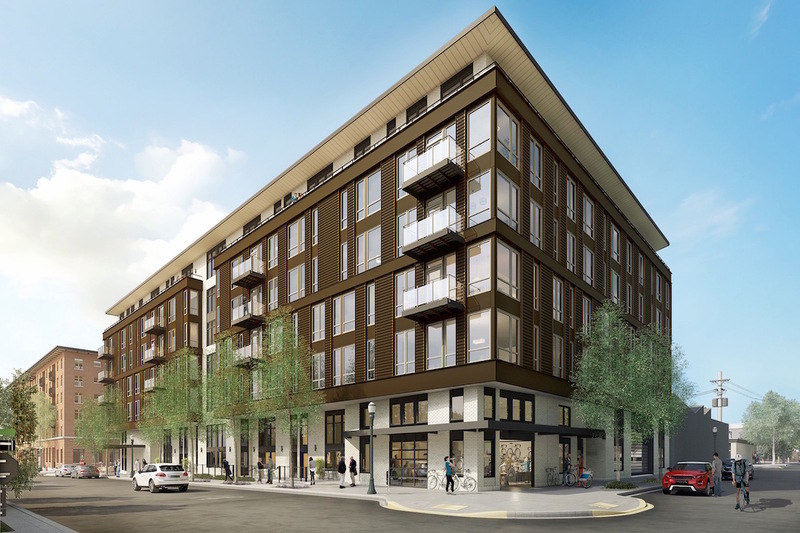 Dubbed Water Avenue Yards, the project includes a range of mixed-use buildings, athletic fields and park space that would extend from Water Avenue west to the Willamette River. 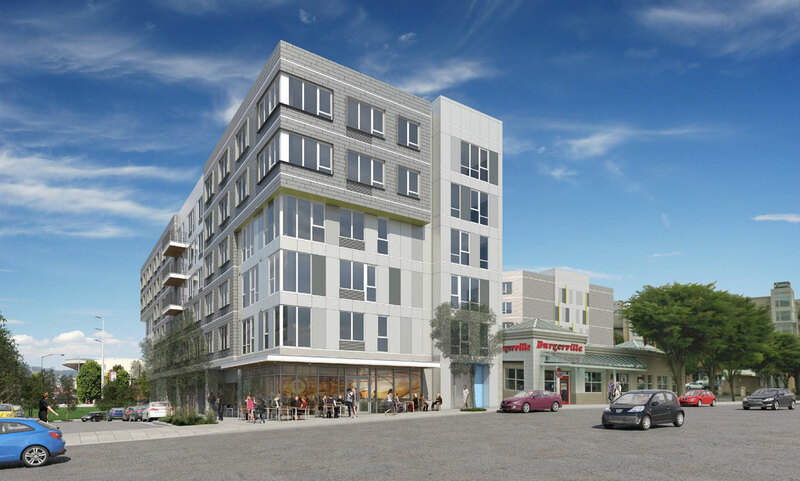 Boora’s design isn’t the direct result of a call for proposals but rather the firm’s vision for what the area could be like in the future as the city mulls options for the land. 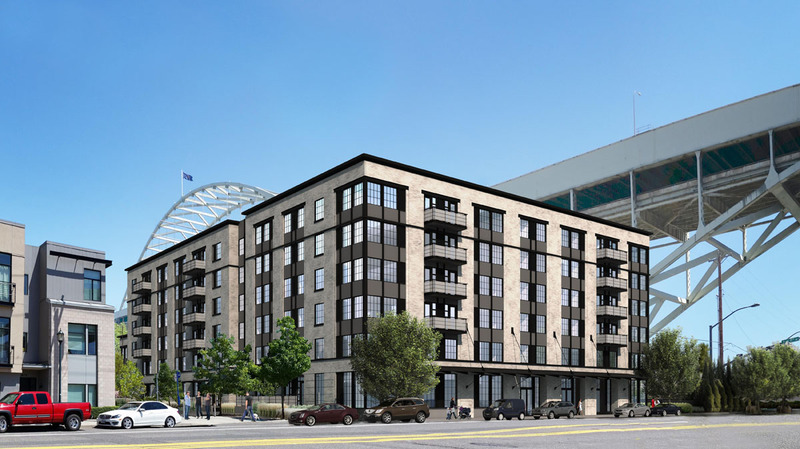 Construction is well underway on The Union Apartments, formerly known as the Block A Apartments. 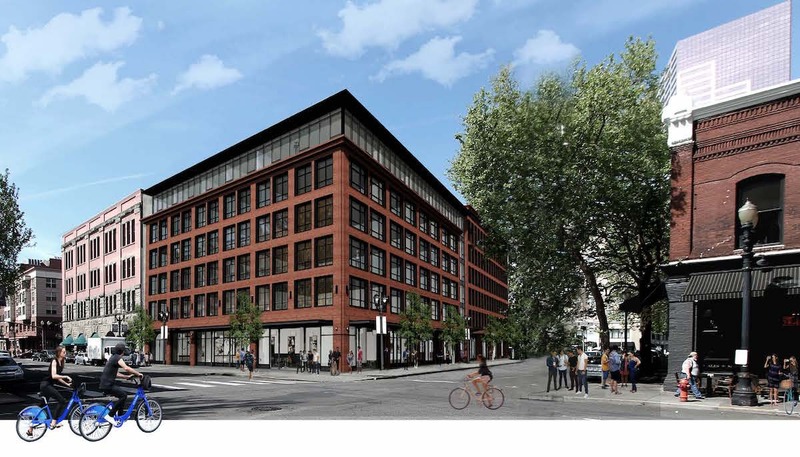 The six-story building in the Lloyd District will include a mix of housing and ground-floor retail. Design is by GBD Architects. 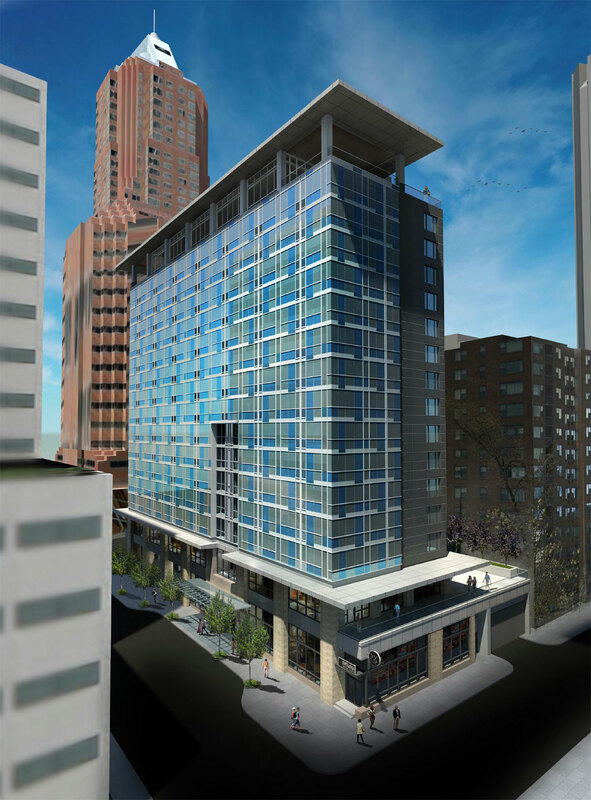 Construction is nearing completion on the Janey II development in the Pearl District, a nine-story mixed-use building by GBD Architects. The building is situated directly next to the existing Janey building, which was completed in September 2012. 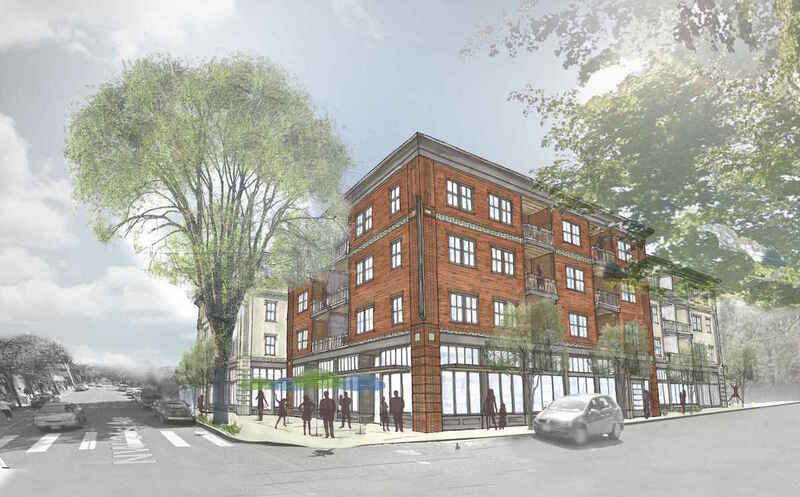 Plans call for 62 market-rate apartments over first-floor retail.